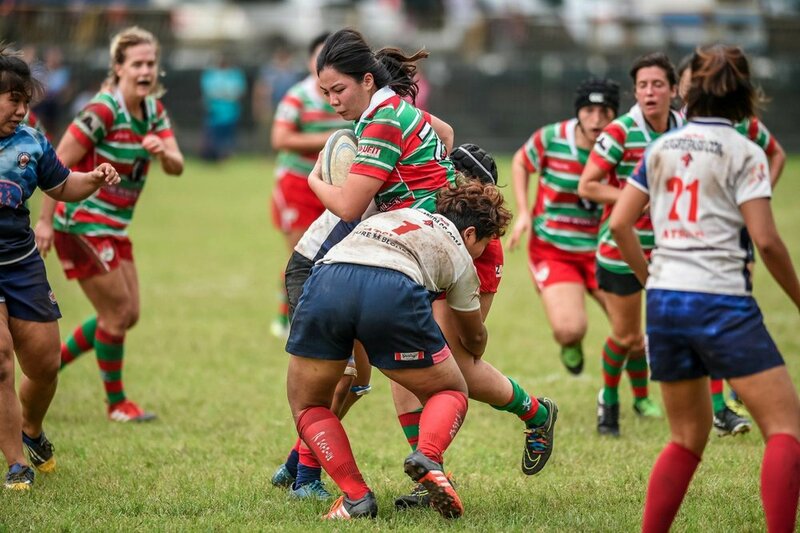 The most diverse womens rugby team, not only in Singapore but globally! Bucks Women’s rugby caters for all types of players, from both experienced to beginner you will be welcomed into the club. We host “come and try days” for interested players which gives you the opportunity to learn about the great game of rugby. With regular trainings with Coach Callum we have seen many newcomer quickly develop the skills for rugby. We participate in Singapore Rugby Union’s various 15s and 7s leagues and take on, as many opportunities to tour the region as possible. Our team has seen success across competitions in the past first years having won the Bali 7s and Saigon 10’s a few years running, Runner up in the Singapore 15s in 2016 and winning the KL Tigers 10s international competition. Finally the team also offers a great opportunity to combine sports & fitness with social events, which are regularly held – you won’t be disappointed signing up to join us! To join us, write to Lena (l.brantmark@gmail.com).